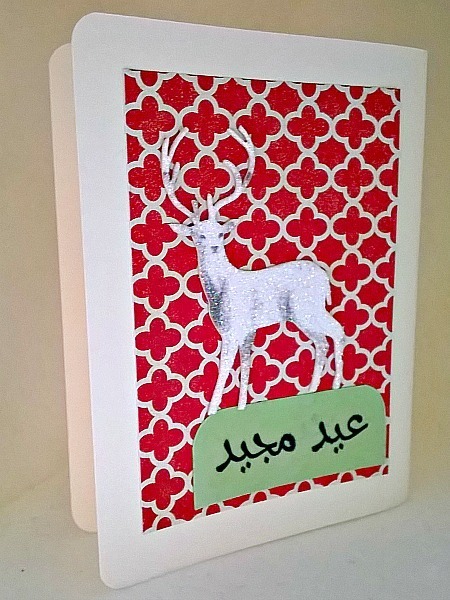 This Arabic Merry Christmas card comes with a quatrefoil Moroccan red and white background centered with a reindeer standing in full command. 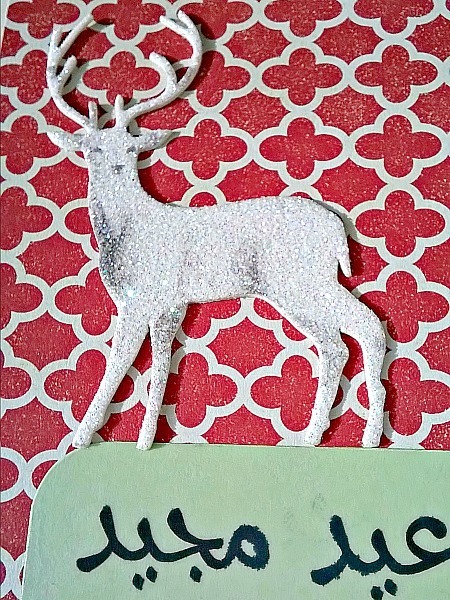 The reindeer was created with glitter for a 3D effect. 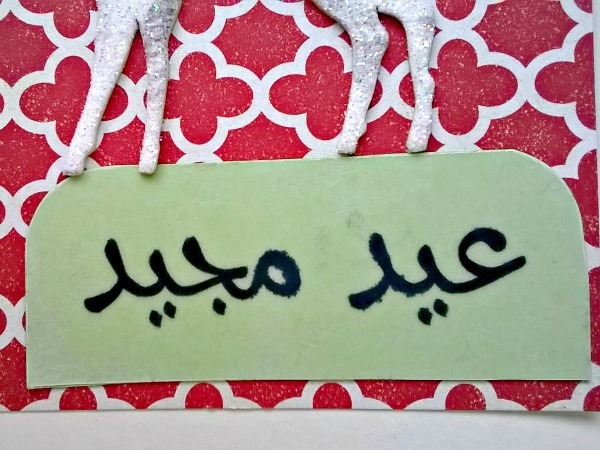 He is standing regal on a green "Eid Majid" which means Merry Christmas in Arabic.